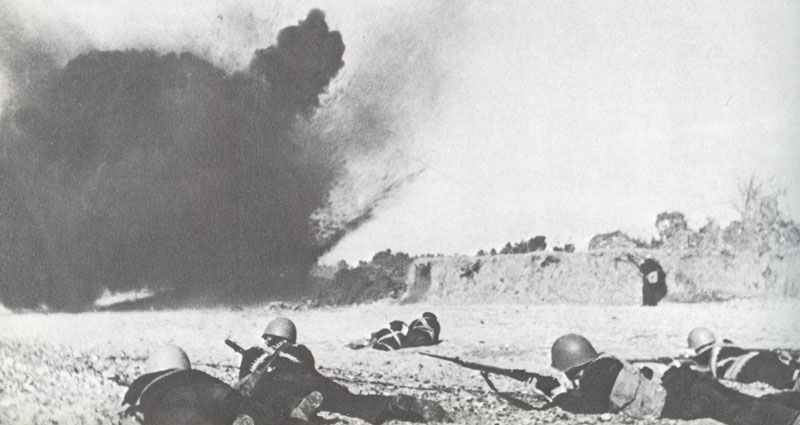 Picture of the defenders of Sebastopol: Russian Marines under shell fire. Operation Barbarossa: SIEGE OF SEBASTOPOL begins with great onslaught by German 11th Army and Rumanian forces on outer defence line (October 30 – November 21). Russian Black Sea Fleet and 21,000 Marines repel many attacks, but Germans capture Balaclava Hills.